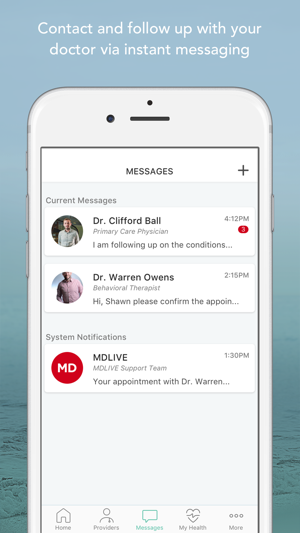 The all-new MDLIVE Mobile App 4.0 makes connecting with a doctor fast, easy, and convenient—from anywhere, anytime. In addition to medical and pediatric care, MDLIVE also offers behavioral health therapy services and psychiatry. The average wait time is less than 15 minutes to consult with a state-licensed, board-certified physician averaging 15 years of practice experience. 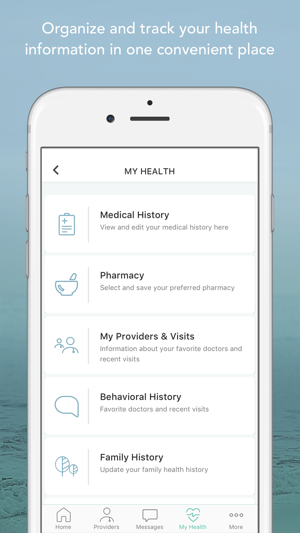 You can choose to allow HealthKit to upload your health data (medication and allergies) for faster integration. Can I use it for my children? Yes. MDLIVE has pediatricians on call 24/7/365. Please note, a parent or guardian must be present during any interactions involving minors with our online doctors. I have pinkeye. Not that big of deal to see an online dr and get a prescription for it. Unless, you use MDLIVE. I saw the dr. Took like five minutes. He said he would call in the prescription and it would be ready in about an hour. My eye hurts and he was sympathetic and said he would put it right in. Drove to the pharmacy, not called in. Called MDLIVE and explained. Waited an hour went to the pharmacy. Not called in. Called MDLIVE got it called in but out of stock. Called MDLIVE to get a different prescription called in. Waited an hour. Not called in. So on and so forth. Every time I called I have to explain all this to the person who answers the phone and go through each person trying to figure this out. Not that complicated but taking way to much time. Also, MDLIVE’s phones did not work all morning so I called and called to get disconnected as soon as their phone system picked up. I was told this morning that I would have to have another dr consultation in order to get my prescription. I refused and they did manage to get it called in but something tells me when I go to pick it up it won’t be there. This is the most inefficient dr visit I ever had. So much for making life easier with online dr visits. On a positive note, everyone who I spoke with on the phone was very nice. Just unable to do their job. We are sorry to hear that you did not have a pleasant experience. We would like to discuss your consultation with you further. 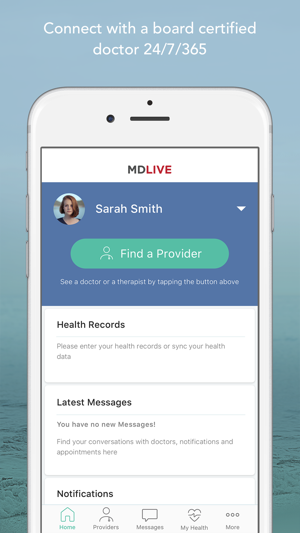 At your earliest convenience please contact MDLIVE customer service at 1-888-632-2738 or customerservice@mdlive.com. Thank you for being a valued member. Go to Urgent care instead. I was hesitant to try MDLIVE but was reassured by their customer service that if it was an issue that they could not manage via online consult I would be refunded. 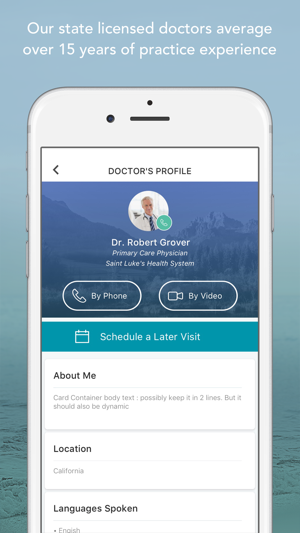 During the consult the Dr. was very good, and very polite, but due to the limitations of telehealth was not able to help me determine any method of treatment for my condition. It was recommended that I go see a physician in person. This was not a referral to a specialist or a greater level of care, just a lateral transfer to an physician of the same qualifications who could manage my health issue in person. This outcome is understandable but earlier I had been reassured by MDLive’s Customer Service Rep that in cases that the could not treat patients would be refunded. When I contacted MDLIVE and explained the situation to their case manager they were unwilling to provide a refund but she was more than willing to engage in a long argument. I would recommend skipping MDLIVE and going to your see you local Dr or Urgent care instead. 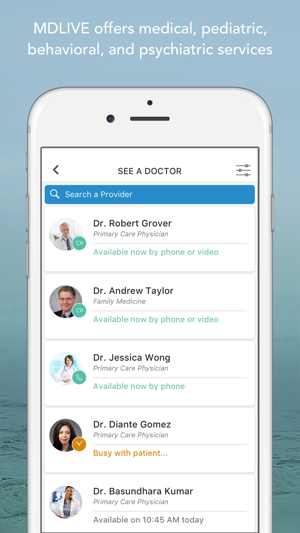 No need to pay MDLIVEs fees only to pay again when they send you to see a Dr in person who can repeat the exact same consult just without the limitations of Telehealth. In the future I’ll save the extra fees and just go to urgent care or my primary the first time. I am quite displeased by MDLIVE and their customer service. Hi, we are very sorry that you feel you were incorrectly charged. We would like to discuss your concerns further. Could you please send an email with your name and contact information to social@mdlive.com? We will reach out to you as soon as we receive your information. I used the desktop version of this service but came here to warn people about this company. My husband went through the sign up process (which was fairly easy/efficient) and selected the video call. Was told the wait time was less then 30 minutes and displayed name of doctor he would be “seeing”. 15 minutes later, we received an automated phone call stating that the wait would be longer and offering to switch to a phone call instead. We declined and continued to wait for the video call. After another 15 minutes, we opted to switch to the phone call because it was taking too long waiting around the computer. This time the page updated with a different doctor. After another half hour we still were not called. I attempted to use the online chat with customer service to see what was up but no one replied. Husband tried calling customer service but couldn’t talk to anyone until he took a survey where they tried to sell him a cruise....is this a joke????? Checked the activity log and it states that a doctor called us for a consultation. This didn’t occur! We have the phone records to prove it! We ended up cancelling the appointment because it became apparent it was a scam. They charged us $40 for literally NOTHING. Disgusting. Hi there. We are so sorry to hear about this experience, but it's absolutely a set of concerns we want to discuss with you. Can you please send an email with your contact information to social@mdlive? We will reach out to you as quickly as possible to address these issues. © 2014 - 2019 MDLIVE, Inc.